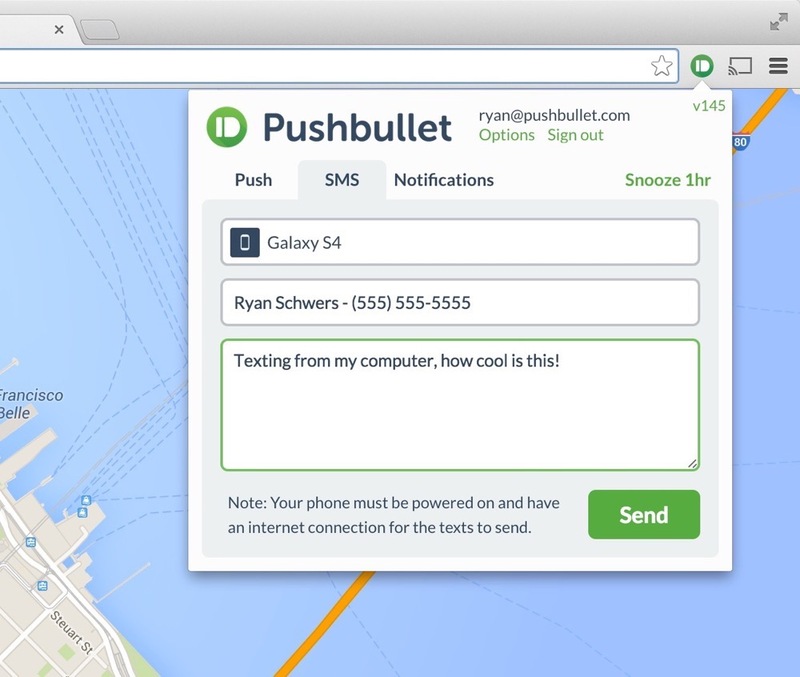 A couple of months back, Pushbullet received an update that allowed users to quickly reply to text messages from within their computer’s browser. 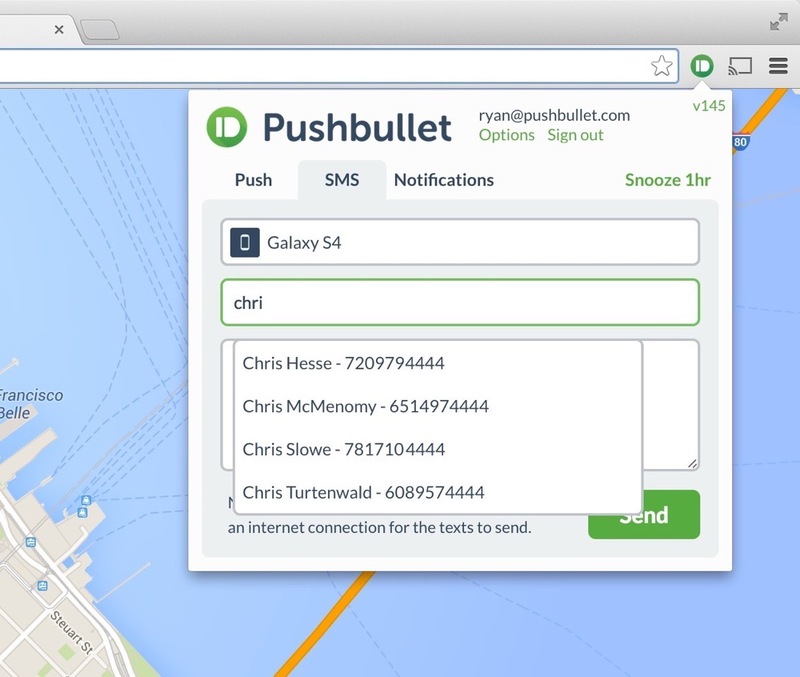 Thanks to an update today, that functionality has expanded to allow users to initiate new text (SMS) messages through the Pushbullet browser extension. In order to send new SMS messages through Pushbullet, make sure you have Pushbullet installed on your Android phone and in your browser of choice. If you already have it installed on your phone, be sure to grab today’s update. Once you are installed and up-to-date, tap on the browser extension button for Pushbullet and you should now see an “SMS” tab. Tap on that, choose the device you want to send an SMS from, then type in a recipient (it may auto-complete as you type), and finally, type out your message. Once you click “send,” the message will be sent from your phone. It’s that easy, and awesome. The newest update is live, so feel free to give it a try immediately.